Kalikamurti has run her own businesses for over 32 years providing human services consultancies, strategic advice, project development and management, conference and event management and support, grant and philanthropic funding submissions and acquittals and business mentorship. Kalikamurti is an accredited Mental Health Social worker and has run a private counselling practice for 30 years. She is a specialist in: Mental Health, Work Health, Chronic Pain and working with young adults and children. Kalikamurti combines her counselling expertise with a firm basis in yoga psychology, a 5000-year-old understanding of how the mind works. Her style of working is based in assisting people in understanding behaviour and assisting in the development or improvement of skills and tools that enable individuals, groups and organisations to be the best and most effective they can be in a sustainable way. Kalikamurti has extensive experience in running training programs to assist in Human Resources Management. Currently, Kalikamurti is a faculty member of William Glasser Australia and William Glasser International, she is the Australian and New Zealand representative on William Glasser Institute board and is the President of the Friends of Araluen (the arts and cultural precinct of Alice Springs). Kalikamurti is a Sannyasin in the Satyananda tradition, meaning she has dedicated her life to the well-being, upliftment and prosperity of all beings. 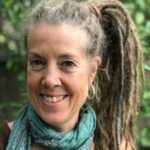 She has produced a range of resources including: Beyond Stressing at Work, Beyond Stressing at Home, Beyond Chronic Pain and Beyond Birth, Moments of Choice and Moments of Awareness, and Awareness 101. These are all available for order from our online store. Kalikamurti’s interests include the arts and specifically community arts, photography, singing, travel, gardening and riding on ferris wheels as demonstrated in her photo. View Kalikamurti’s LinkedIn profile here. 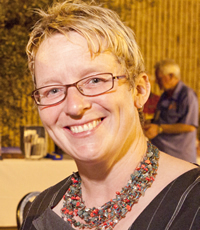 Joy was born and raised in the UK and moved to Australia in 1988, and now calls Alice Springs home. She brings to the team a background in the design and implementation of collaborative business projects, and in supporting project teams operating in different locations and across great distances. Joy draws on long experience in training, project planning and management, strategic planning, grant and tender writing, community development, information technology, and graphic design, professional writing and editing. Joy currently provides services in television and radio advertising and sponsorship, grants management, organisational compliance, management support, and project management to NGOs and businesses in Central Australia, SA and NSW, Joy also produces audio and radio projects. Joy is a Director of Alice Springs Community Financial Services which governs the Alice Springs Community Bank Branch of Bendigo Bank. Joy’s interests include singing, bushwalking, yoga, community radio and Australian bush foods. View her LinkedIn profile here. Kate Lawrence has been living and working in central Australia since 2000. She is an experienced trainer, facilitator and program manager with extensive skills in adult education, Indigenous community governance, health promotion, financial literacy, and aged, disability, youth and mental health services. Kate has a record of success in innovative program and event management, building effective teams and organisational partnerships, and supporting good governance. Kate’s characteristic approach to program management is collaborative, valuing existing knowledge, encouraging new initiatives and partnerships, and supporting staff and volunteers to step up into leadership positions. 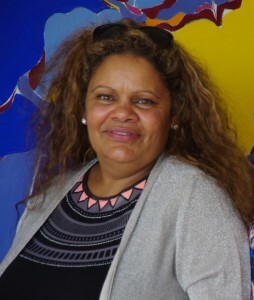 Kate was a senior staff member from 2002 to 2016 with Waltja Tjutangku Palyapayi, a respected Aboriginal corporation governed by senior women from remote central Australian communities. Kate managed Waltja’s training and research services and all remote community services programs. 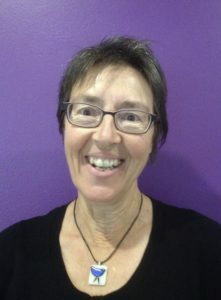 Prior to coming to live in Alice Springs, Kate held research and teaching positions at the University of Adelaide, University of South Australia and TAFE SA. She has high-level research and evaluation skills and sets high standards for community engagement, ethical research, clear documentation and contractual compliance. During the 1990s, Kate ran Collective Sense, a training service in consensus decision-making and conflict resolution. Kate holds a Bachelor of Social Science (Flinders University), a Graduate Diploma in Adult and Vocational Education (University of South Australia), and is an accredited teacher of English as a second language (CELTA, Uni of Adelaide). Tanya has recently joined the team as a consultant based primarily in Melbourne yet with much of her time spent in Alice Springs. Her love of the outback town, its beauty and its people have meant she has spent the best part of the year there for the last 7 years. Tanya’s qualifications are in Human Nutrition with a graduate diploma in Dietetics following a Batchelor of Science. 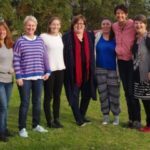 She ran her own Private Nutrition Consulting Service for over twenty years – servicing hospitals, aged care facilities, community health centres and individual clients. Tanya also holds qualifications in Fitness and Personal Training. 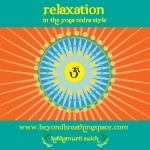 Her main passion is yoga, in particular yogic philosophy and mantra meditation (kirtan). After training as a teacher she has taught yoga in both Melbourne and Alice Springs. Tanya has been actively involved in the local community, on the boards of the National Pioneer Women’s Hall of Fame; Friends of the Desert Park; Alice Springs Beanie Festival and Central Craft. In 2017 she spent two months volunteering at the Titjikala Community, working with the local artists. 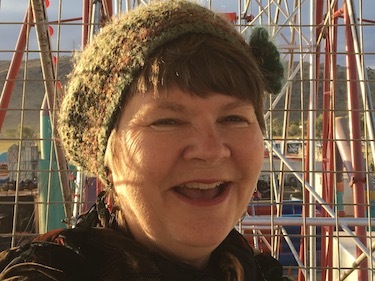 For many years, as a textile artist she has contributed to the Alice Springs Beanie Festival and has been a regular stall holder at the Alice Springs Todd Street Markets. Tanya’s interests include wildlife – she is a keen birder; photography; textile arts; travel; yoga and kirtan. Her LinkedIn profile can be viewed here. Bibi Barba was born in Roma, Queensland, and raised in Liverpool, Sydney, Australia. Inspired by her Grandmother’s storytelling and her love of the land, Bibi’s artwork has a sense of vivid storytelling, melding traditional Aboriginal design with contemporary style. Bibi’s first solo exhibition, comprising 25 watercolours, sold out. Since then Bibi has continued to develop her technique, telling stories about her life and love of land through sensuous shapes and vibrant colour on canvas. Bibi is the inventor of a unique silk canvas which she sells through her business Bibi Barba Arts Supplies. Visit Bibi’s website here. 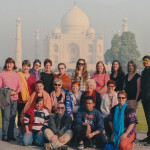 Tim joined Centred in Choice after having a wonderful time travelling with some of the CIC team on the Essence of India Tour in 2014. Tim was born in Perth, WA. He currently lives in Sydney and works for Centred in Choice on a part-time basis, having first come into contact with others in the CIC team during a six year ‘stopover’ in Alice Springs. 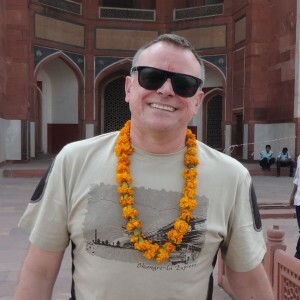 Tim has worked in a wide range of professional posts in community/not-for-profit, government and private organisations in Perth, Alice Springs and Sydney, primarily in the areas of health, community and human services. Tim has a Masters Degree in Education, a Graduate Diploma in Social Sciences (Community Services) and a Diploma in Business (Frontline Management). Tim’s interests include travel, reading, essential oils and wine. View his LinkedIn profile here.